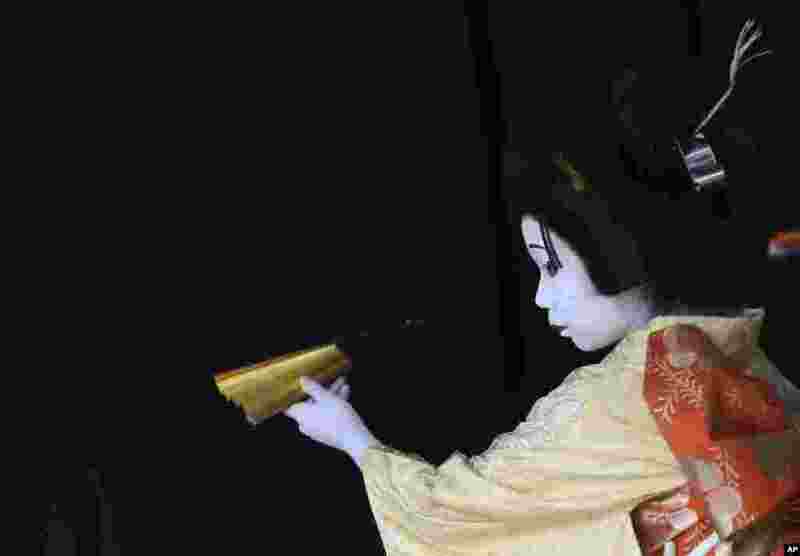 ۱ An elementary school boy acting as an young woman performs during a show of an amateur children kabuki theatrical company in Tokyo, Japan. 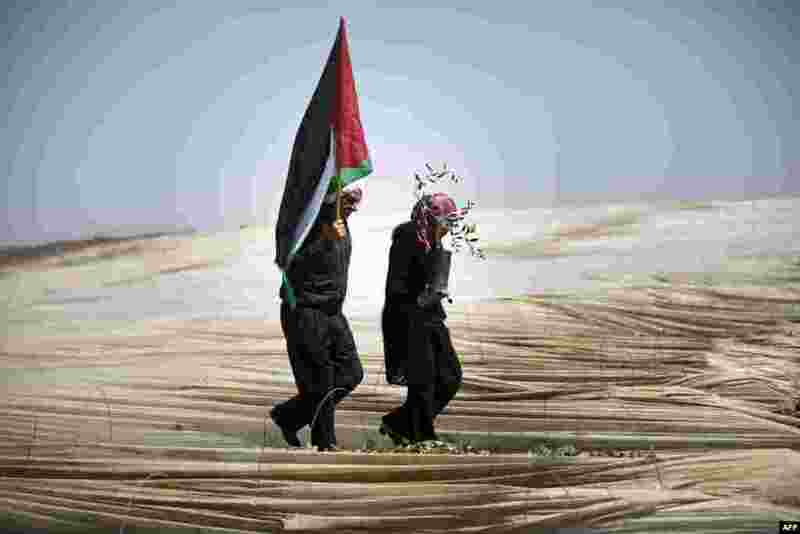 ۲ Palestinians, a man holding a Palestinian flag and a woman carrying an olive tree, walk through rows of greenhouses on "Land Day" during which people notably plant olive trees near the Israeli border in Jabalia, in the northern Gaza Strip. 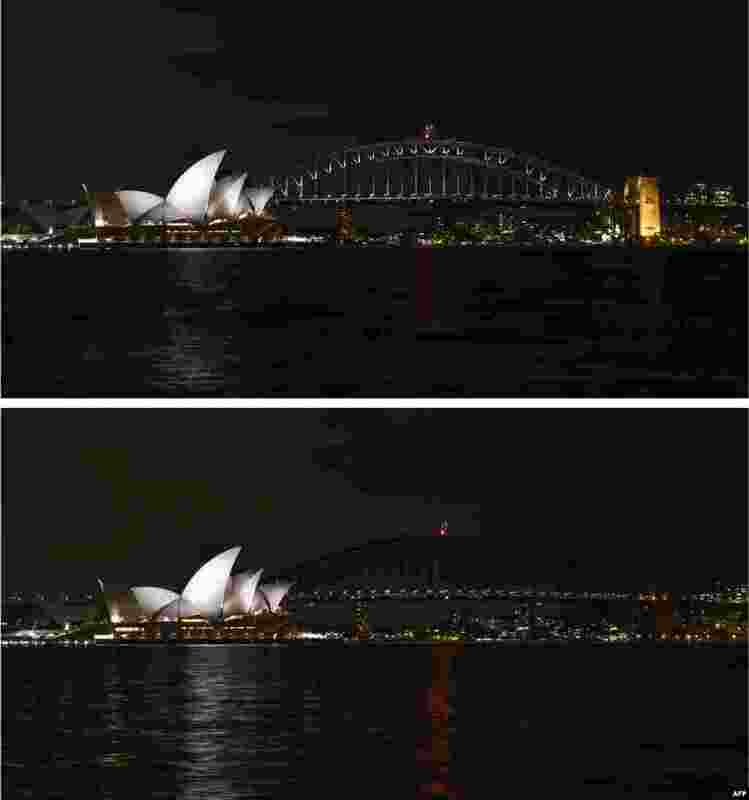 ۳ The Sydney Harbour Bridge is seen plunged into darkness for the Earth Hour environmental campaign, among the first landmarks around the world to dim their lights for the event. Lights will go out in some 7,000 cities and towns from New York to New Zealand for Earth Hour which this year aims to raise hundreds of thousands of dollars for green projects. 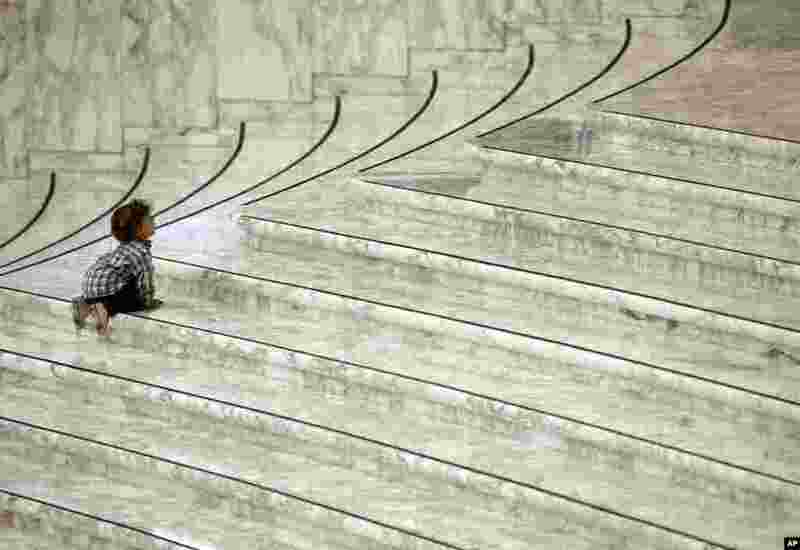 ۴ A child looks up as he tries to climb the stairs of the Paul VI Hall prior to the start of Pope Francis' meeting with members of associations that assist blind, deaf and mute persons, at the Vatican. 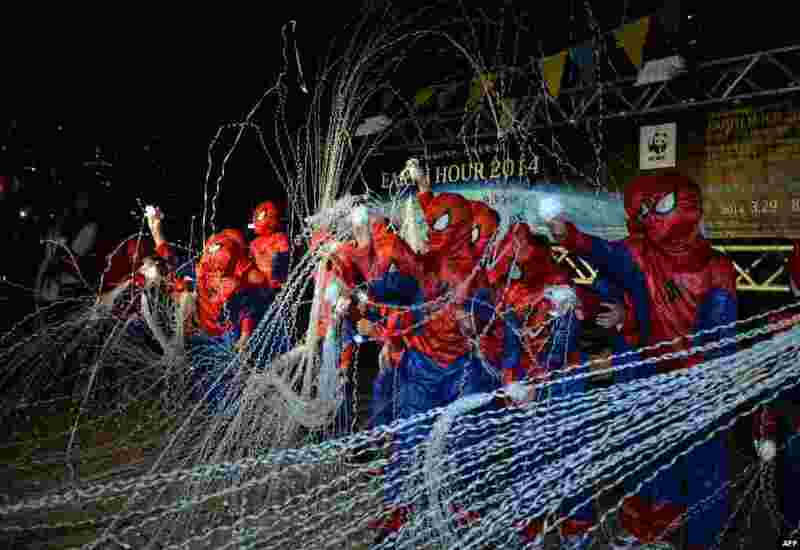 ۵ Children dressed as spiderman throw "spider thread" for the count down of the Earth Hour environmental campaign event in suburban Tokyo, Japan. 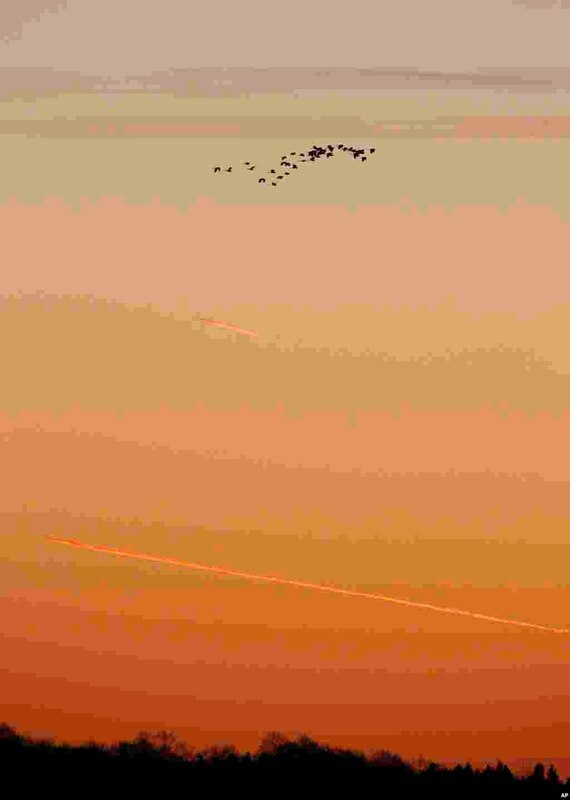 ۶ Cranes fly in front of planes during the sunrise near the village of Lyubcha, 120 km ( 75 miles) west of Belarusian capital Minsk. 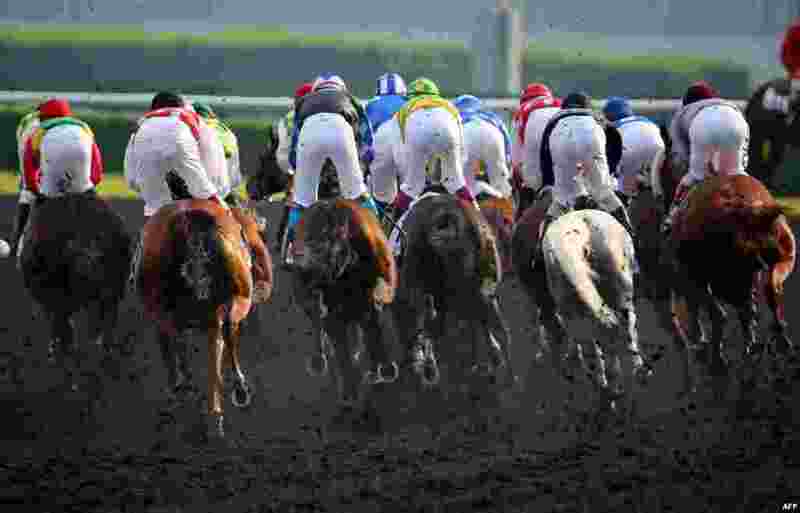 ۷ Jockeys compete in the Dubai Kahayla Classic race held on Dubai World Cup Day at Meydan racecourse in Dubai, UAE. A cosmopolitan gathering of horses from seven different countries contest the U.S. $10 million Emirates Dubai World Cup. 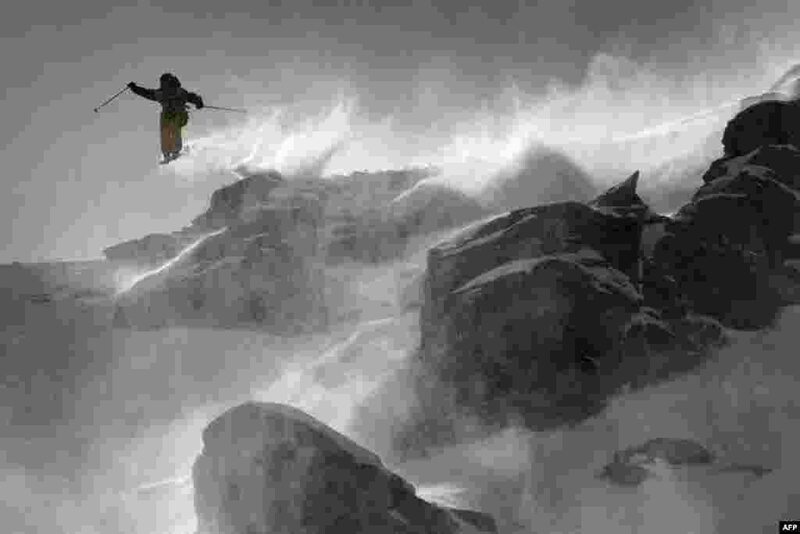 ۸ France's Loic Collomb-Patton competes on Bec de Rosses mountain during the Xtreme Freeride World Tour final above the Swiss Alps resort of Verbier.